The meeting of the House of Representatives today passed some Nepal acts amendment bill including the Civil Code 2075 with majority of votes. The Minister for Law, Justice and Parliamentary Affairs Bhanubhakta Dhakal had presented bill for the passage. Responding to the queries put forth by the lawmakers during the deliberation, Minister Dhakal said government was always positive to clear the legal hurdles. Prem Suwal, Pushpa Bhushal, Krishna Bhakta Pokhrel, Sher Bahadur Tamang and others took part in the deliberation. 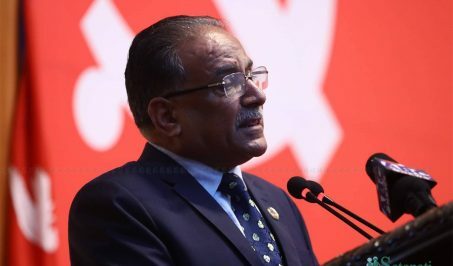 Meanwhile, Minister for Law, Justice and Parliamentary Affairs Bhanu Bhakta Dhakal on behalf of the Minister for Education, Science and Technology Giriraj Mani Pokharel presented the proposal to send the Nuclear Bill, 2075 to the concerned committee for deliberation. 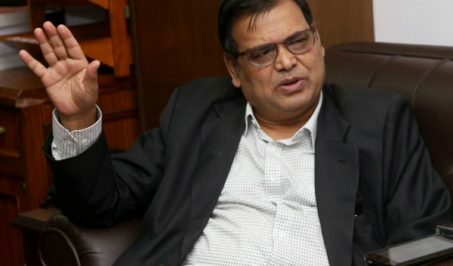 Likewise, Secretary at the HoR, Gopalnath Yogi tabled the bill on Pesticides Management, 2075; Land Use Bill, 2075; Citizen Investment Trust (second amendment) Bill; 2075 and the Advertisements (Regulation) Bill, 2075 along with messages from the National Assembly (NA). 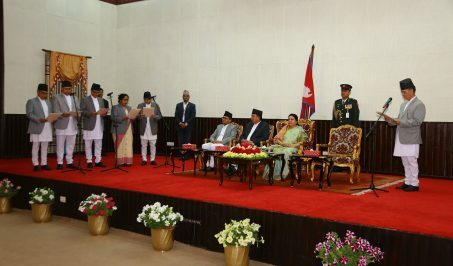 Also, he presented the Public Auditing Bill, 2075; the Special Economic Zone (first amendment) Bill, 2075; the Foreign Investment and Technology Transfer Bill, 2075; the Public-Private Partnership and Investment Bill, 2075 and the State Public Service Commission (Basis and Standards) Bill, 2075, all attached with messages from the NA.